Live (If That Ain’t Country…) was released in 1997 on Columbia Records. I love this album. I recently got on a D.A.C kick and we went to see him live in Knoxville. Then I bought 4 CDs, this was one of them and my favorite. 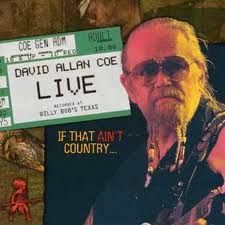 I normally don’t like live albums too much, but D.A.C kept the songs true to their radio roots, so I enjoyed it very much. I gave a copy to my Dad for Christmas. A side note about the concert: it was great!! But, I do wish he had some merch for sale there. I really wanted a T-shirt! !